80/35 was founded in 2008 by the non-profit Des Moines Music Coalition. This year there will be two paid festival stages instead of one. Portugal. The Man is headlining the main stage on Saturday night, July 13. Elle King is headlining the main stage on Friday night, July 12. Misterwives is playing 80/35 on Saturday, July 13. Listen to Mark Simmet's interview with Andy Cusack about the 80/35 Music Festival lineup. Mark your calendars for July 12 and 13. 80/35 announced it's 2019 line-up today, and it boasts a wide variety of genres, including acts we've loved for years and some new ones we're excited about. New this year, the festival is adding a second stage inside the paid area. There will still be three free stages, including the Iowa Public Radio's Live Sessions stage. Check back to find out who we're hosting soon. On Friday, July 12 Elle King headlines the mainstage. She made her name with a top 10 single in 2014 with her song “Ex’s & Oh’s," and has since released "Shake The Spirit," an Americana/country flavored album that draws upon her life experience. Portugal. The Man headlines Saturday, July 13. They are an indie rock band whose 2017 hit “Feel It Still” popularized their eighth album, "Woodstock." The rest of the 80/35 lineup is a mix of indie, alternative, alt-country and hip-hop acts. Metric, Dressy Bessy and The Beths are all indie bands with female lead vocalists. 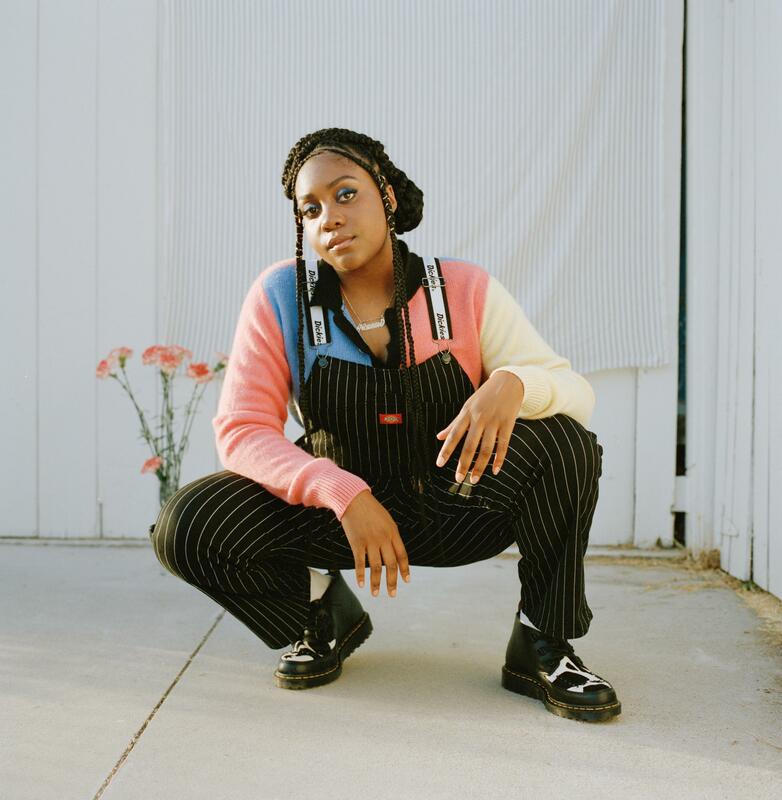 Fatimah Nyeema Warner, a rapper and poet who goes by Noname, is playing 80/35 on Saturday, July 13. Murder By Death is playing one of the paid stages. Their name comes from a 1976 Robert Moore film, so don't assume they are a metal band. They are, in fact, a folk band. Illinois native Fatimah Nyeema Warner, who goes by Noname, and Open Mike Eagle are hip-hop artists. Just as in years past, there is a strong variety of Iowa connected artists on the festival line-up, including Des Moines band The Envy Corps, Iowa City based Crystal City and Quad Cities native Lissie. There are 40 acts playing in downtown Des Moines the weekend of July 12-13 including headliners Elle King and Portugal. The Man. The Des Moines Music Coalition, which founded the festival in 2008, has curated a playlist of bands who are appearing at the festival this year. Iowa City's Mission Creek festival is coming up next week. This is a unique and annual spring event curated by a team of organizers and hosted in part by the 106-year-old Englert Theatre. The festival spans 6 days, and full festival passes are $250. Mission Creek also offers single show tickets. If you're making plans to attend or are thinking about it, here's who we wouldn't want to miss.